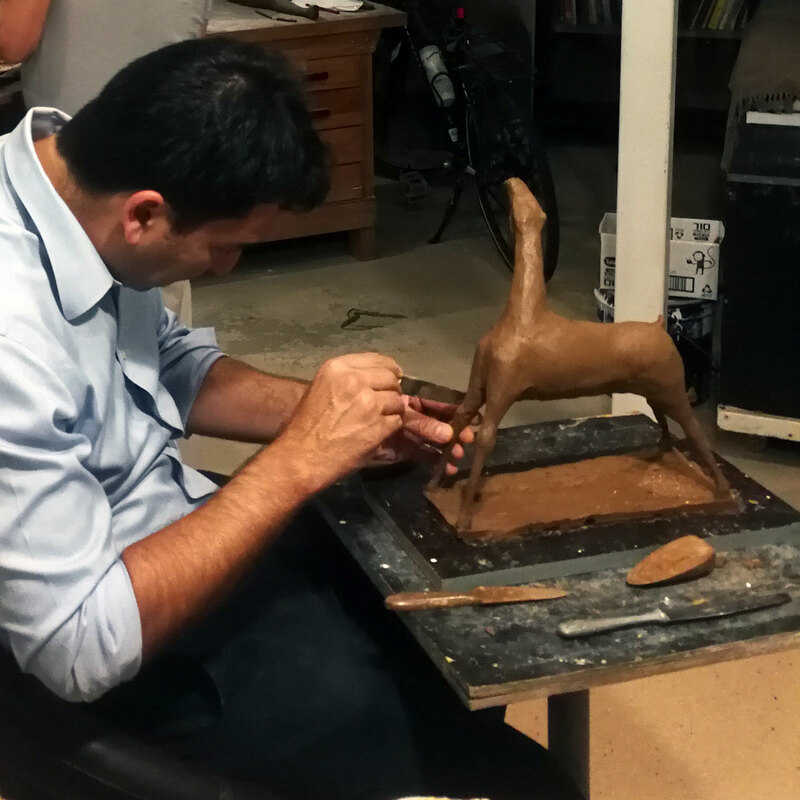 Damien's intent is to pass on his knowledge and skills to each student so that ultimately those who so desire may be equipped to become a professional practising sculptor. His practical focus is to promote excellence in traditional clay modelling, plaster mould making and casting, which provide the foundation & understanding needed to fully develop one’s potential. He also teaches stone carving and construction methods for interested students. The study of the figure and nature in general is encouraged, as is as an ongoing exploration of the abstract. Drawing is the fundamental discipline of all the visual arts, and it is taught concurrently with the sculpture practise. Each student is respected as an individual with their own specific needs and requirements, and their ability to meet these needs is developed by building skills which help them to take achievable steps along their personal path of learning and creating. - the student is set progressive challenges in each project that they undertake, as they acquire skills & develop as a unique & independent sculptor.